Last Christmas I was given a six-month gift subscription to Ancestry.com. I had initially hoped to lure other family members into the process, but alas! It remains a somewhat tedious solo endeavor. I knew I was 75% Scandinavian. Mom’s side was Swedes and Norwegians, and Dad’s mother was Danish. They all hopped on boats in the late 1880s, entered through the brand-new Ellis Island, and ended up with their 100 acres and a mule in the Dakota Territory. But there was still that elusive 25 percent. After months of digging through Walkers, Guffeys, Mitchells, and Savages (with the worst first names ever! Alsibid, Orley, Cleda! ), I discovered that my paternal grandfather’s lineage goes back to the 1635 Jamestown settlement. Along the way I found Scots who were Revolutionary War heroes, renowned court musicians (which may account for my four first cousins being conductors), and Martha Custis Washington—America’s first First Lady. It doesn’t matter if they left their homeland in 1880 or 1634, they all helped this country grow and prosper. However, my DNA isn’t the point of this column. There’s an artistic lineage in our community which needs to be acknowledged and fostered. Every gallery, chorus, and non-profit listed in this column took no less effort to create and nurture than it did for my great-grandfather to clear his 100 acres, and we have an obligation to shield and sustain this haven of artistic creativity with some end-of-year generosity. Explore the off-beat, make new connections, or bask in a tropical paradise. This season of art at the CAMP Rehoboth Gallery has something for everyone. Be sure to stop in to see this exhibition before it closes on November 28. 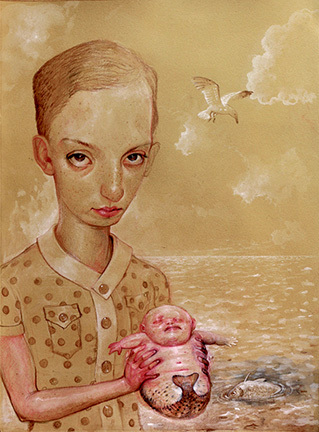 Scott’s work is uncompromising, twisted, sentimental, disturbing, and fun! 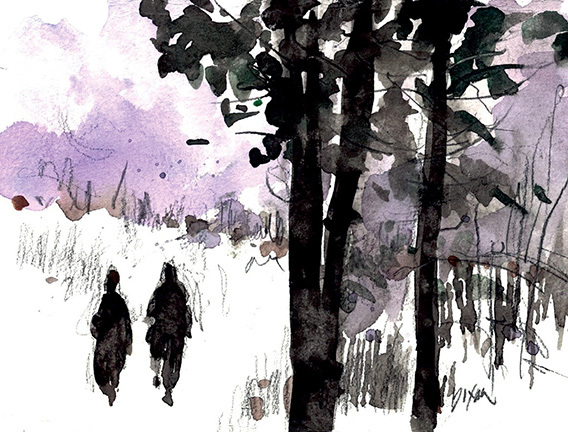 When multiple generations come together to make art, something magical happens. The act of creation gives a powerful voice to young and old alike and builds a sense of shared community pride. This is the foundation for CAMP Rehoboth’s December art exhibition Generations! which combines the talents of emerging, established, and those who are young and "young at heart” by showcasing the work of high school student artists and artists who are 55+ years of age. 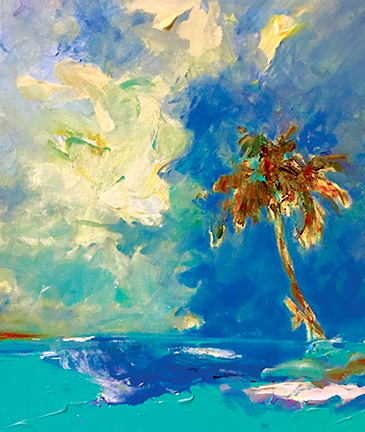 No matter the temperature outside, you’ll be HOT for artist Jane Knaus’ work from tropical paradise Key West. Knaus is creative director and owner of Graphics by the Sea, a small graphic design company in Rehoboth. She earned her bachelor’s degree in Fine Arts at the University of California Berkley, and a master’s in Publication Design from George Washington University. 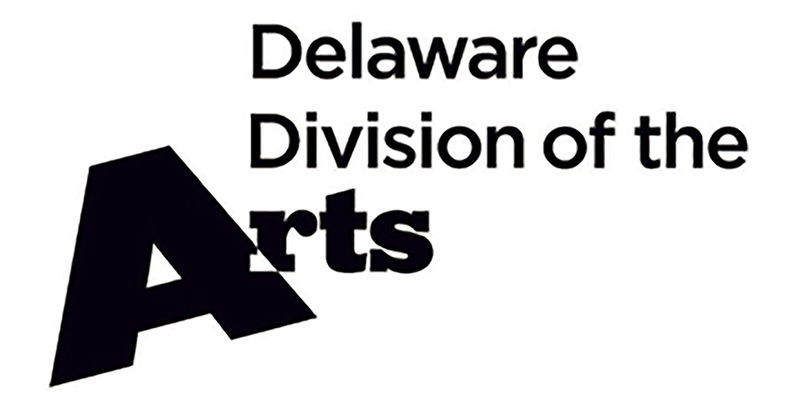 She is a member of the Rehoboth Art League and the Delaware Shore Artists Group, and has exhibited throughout the United States and Europe. This exhibit will feature about 20 paintings depicting the local scenery, a multitude of colorful seascapes, roosters, sunrises, and floral images from her many visits to Key West over the years. If you can’t afford your own tropical get-away, you can enjoy the beautiful scenery of Key West through the eyes of the artist. CAMP Rehoboth Chorus (37 Baltimore Ave.; 302-227-5620) Depending on when you read this, the chorus is polishing the Act 2 music, putting the finishing touches on the concert, or heading for dress rehearsal! Regardless, don’t miss “Seasons of Love”—celebrating their first decade of making music—February 15-17 at Epworth UMC (19285 Holland Glade Rd). Tickets are available at camprehoboth.com. CAMP Rehoboth’s GMCW concert (37 Baltimore Avenue; 302-227-5620) CAMP Rehoboth hosts the Gay Men’s Chorus of Washington’s new cabaret show, “The Best Worst Thing”—January 26. Capital Ringers hits the road with “Celebrate the Season!” They’ll be ringing their bells from November 18 till December 15 in Milford, Lewes, Salisbury, Easton, Selbyville, Dover, and Milton. Check their website for details and locations. Clear Space Theatre Company (20 Baltimore Avenue; 302-227-2270) ends the year with “A Well-Strung Christmas” (two shows on November 18), followed by the Madison Square Garden version of A Christmas Carol (November 23-December 9). Their 2019 season opens with The Graduate (January 25-February 10). Check their website for information on 2019 tickets—with a season including The Music Man, Into the Woods, Mamma Mia, and Hello, Dolly! you can’t go wrong. Epworth UMC (19285 Holland Glade Rd. ; 302-227-7743) presents “Yule Love It…Again!” their third annual Christmas Spectacular, featuring the 40-voice Epworth Chancel Choir accompanied by an instrumental ensemble, guest soloists Mary Anne Bacellona-Collins, Chris Berg, and Colin Armstrong; the Epworth Praise! Team performing contemporary holiday music; and the CAMP Rehoboth Ensemble singing international carols, as well as leading a holiday sing-along—December 8 (7 p.m.). Get your tickets online to partake of this heapin’ helpin’ of holiday happiness and ensure your seat in advance. Possum Point Players (441 Old Laurel Road in Georgetown; 302-856-4560) wraps up the year with It’s a Wonderful Life as their holiday offering—November 30-December 9. Sleuth kicks off their 2019 season—January 27-February 3. Premier Centre for the Arts at Milton Theater (110 Union St., Milton; 302-684-3038) “keeps Milton weird”! November events: 16: Magicians Trick Trio; 17: The Funsters (Benefit Dance Party); 18: The Greatest Showman; 23: Sister’s Christmas Catechism; 24/25: “A Celtic Christmas”; 29: It’s a Wonderful Life (film); 30: Assisted Living—the Musical; December events: 1: Assisted Living – the Musical; 2: Cartoon Christmas Trio; 6: The American Rogues; 7: Psychic medium Deanna Fitzpatrick; 8: “Bluegrass Nutcracker” (matinee); Peek-a-Boo Revue (evening—18+ only! ); 9: The Polar Express (matinee); The Rescignos: Merry Christmas to Paul, and to Paul a Good Night (evening); 13: Fred Hughes Trio: “I’ll Be Home for Christmas”; 14: Streisand & Sinatra Holiday Show (matinee); We Three Queens: A Holiday Drag Show with Magnolia Applebottom (evening); 15: Capital Ringers: “Celebrate the Season!” (matinee); Streisand & Sinatra Holiday Show (evening); 16: Streisand & Sinatra Holiday Show; 20: Die Hard (film); 21: One Dame Christmahanukwanzaka (matinee/evening); 22: The Rising—”Trans-Siberia Holiday Music Tribute” (matinee/evening); 28: Paul Cullen: Lower Case Blues; 29: 5th Avenue Jazz; 30: Rocky Horror Picture Show; 31: Kathie Martin & the Hot Rods. You’ll have to look up their 2019 events yourself. Rehoboth Concert Band (703-598-9867) present seasonal music and songs of peace in their annual “Holiday Peace Concert” with the CAMP Rehoboth Ensemble—December 16 (3-5p.m.) at Cape Henlopen High. Rehoboth Beach Film Society (17701 Dartmouth Drive (Lewes), 302-313-4032) screens the best new Independent films at their Cinema Art Theatre. Check their website for updates and show times. The Met: Live in HD—Puccini’s La Fanciulla del West (November 17 & 19); Nico Muhly’s new opera Marnie (November 24 & 26); Verdi’s La Traviata (December 22 & 26); Cilia’s Adriana Lecouvreur (January 21 & 22, 2019); Bizet’s Carmen (February 9, 11, & 12). National Theatre Live: The Madness of George III (December 8-11). Second Street Players (2 South Walnut Street, Milford; 302-422-0220/800-838-3006; secondstreetplayers.com) is closed for renovations through March 2019, except for a one-night event with Bryan Clark on December 7 to celebrate the season. CAMP Rehoboth Gallery (37 Baltimore Avenue; 302-227-5620) features Visually Disrepaired: Paintings and Drawings by Scott G. Brooks—through November 28; Generations!—December 1-29; Welcome to the “Conch Republic”—Key West Paintings by Jane Knaus—January 3-31, 2019. Cape Artists Gallery (110 W. 3rd Street, Lewes; 302-644-7733) represents two dozen artists, with much of their work focusing on beach scenes. Gallery 50 Contemporary Art & Frame Shop (50 A-B Wilmington Avenue; 302- 227-2050) features a variety of artworks in painting, jewelry, glass, sculpture, ceramics, mixed media, mobiles, as well as special events. Heidi Lowe Gallery (328 Rehoboth Avenue; 302-227-9203) has beautiful and unique hand-made pieces (including wedding rings!) and offers classes in jewelry making. Earrings Galore—through December; Drusy & Gemstone—November 23-27 (with a “Sparkle Happy Hour” November 23 (4-6p.m. )—pick your favorite drusy, tourmaline, or landscape jasper, and they’ll make it into something special for gift-giving! Peninsula Gallery (520 E. Savannah Road, Lewes; 302-645-0551) presents On the Road Again—four artists who often travel together to paint or enter the same plein air competitions—featuring Lynn Mehta, Gray Dodson, Bernard Dellario, and Meg Walsh. Through November 20. Opening November 24—Small Jewels 15—Multiple artists present small works perfect for the holidays. Opening reception: November 24 (5-7p.m.). Rehoboth Art League (12 Dodds Lane, Henlopen Acres; 302-227-8408) has a fantastic schedule of classes—pottery to pen and ink technique to jewelry making…something for everyone. Current exhibitions: Beach Blowout—juried members’ showcase exhibition (through December 30). Check their website for a complete schedule of exhibits, salons, and gallery talks. Rehoboth Beach Museum (511 Rehoboth Avenue at the Canal; 302-227-7310) has completed renovations to their second floor and revamped their permanent collection exhibits, and is OPEN! Check their website for some great walking tours of the area and fascinating lectures. The Brush Factory on Kings (830 Kings Highway, Lewes; 302-745-2229) an arts/craft co-op: furniture, art, clothing, antiques, sea glass, decoys, vintage garden, books, candles, herbs, and more—great holiday gift ideas! The Studio on 24 (20231 John J. Williams Highway, Lewes; 302-644-4424) is open by appointment only, but worth it to visit with owner and artisan Deb Appleby and view her custom-made glassware. Images: Beachcomber (Detail), Scott Brooks, Higgs Beach, painting by Jane Knaus, Forest Moment, painting by Sam Dixon.